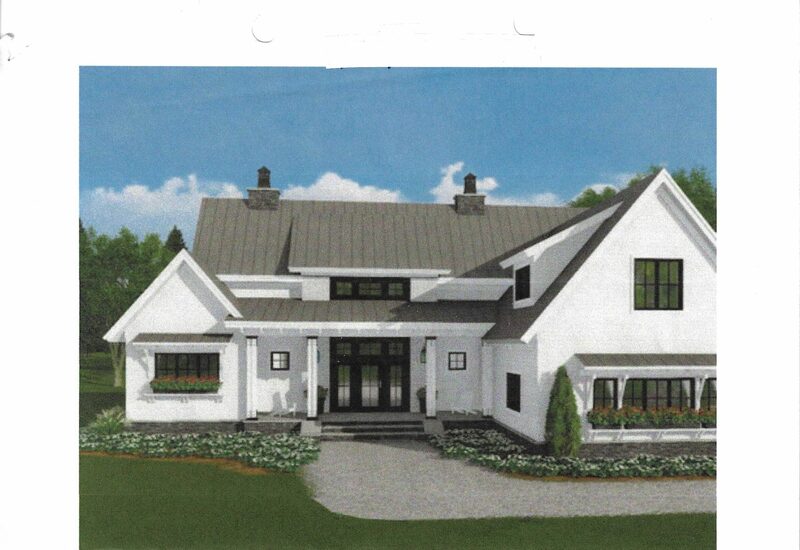 This classic 3,500 square foot white farmhouse home is being built for Deric and Shawna Wheeler and their daughter. They brought us a plan to show us what type of house they wanted and have also been very proactive in picking out every detail to finish their home both inside and out. Since both Deric and Shawna have demanding jobs at the UW Hospital in different areas, they wanted to build a home close to all the activities that they enjoy during their downtime along with some peaceful solitude. 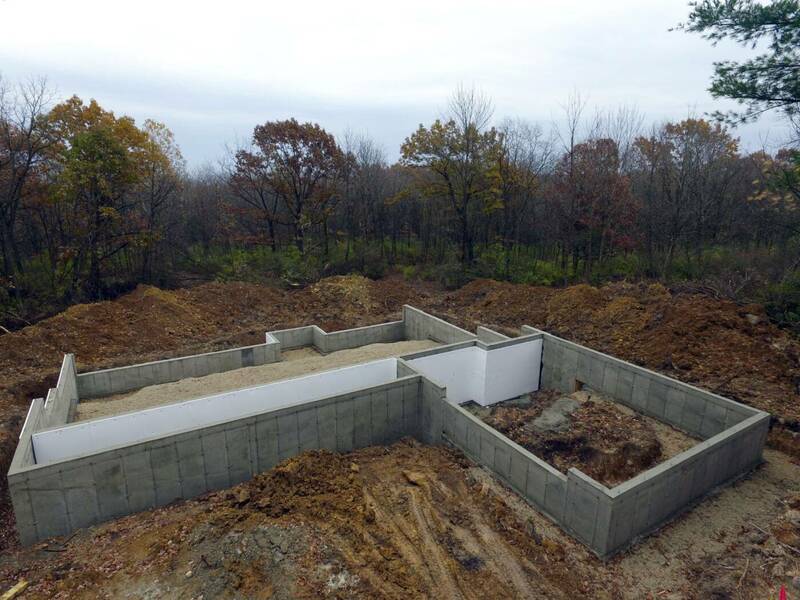 They found the perfect location in the little Town of Brigham on a lot with 6.4 acres surrounded by beautiful trees and close to Blue Mounds State Park. Here they can hike, bike, ski, go trail running, and just enjoy the great outdoors. Construction got under way early in October — we cleared some of the trees, excavated, and laid the foundation last week. Framing will begin next week as well as the ground work for plumbing. We are anticipating a March completion of their home. The Wheelers have been a joy to work with and we are all excited to watch this house come together. More pictures of the project will be posted as construction continues. Stay tuned!